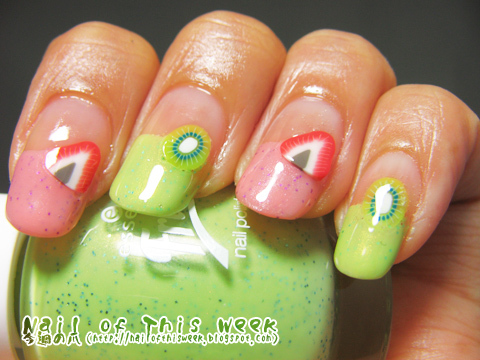 Summer Challenge #05: Fruits : Nail of This Week. Day 5, now it’s the day for…Fruits! First when I saw this theme, only the idea I had is to use the fimo fruits stick. 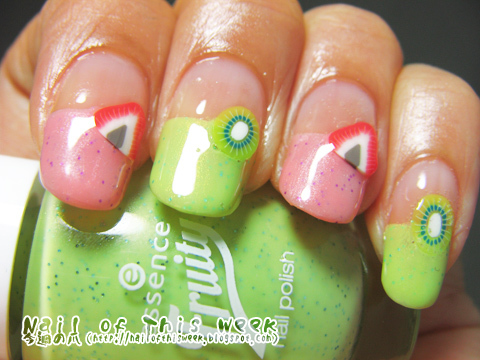 But next when I luckily could get essence’s fruity LE polishes a week ago…I simply thought it’ll be great if I can combine both, as these polishes are really “fruit-themed” polishes! This is gorgeous! I picked up some of these Essence polishes last week too, your swatches are so good. I love the fruits! 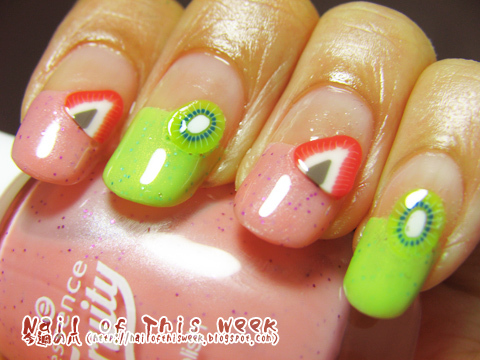 I love that you actually used fimo sticks and the fruity essence polishes to stick with the whole fruit theme! Lol ,The manicure looks great! I love your idea of choising polishes from Fruity collection. Totally juice and I love it!